Joan Dryden, Alex Sutherland,? Munro Hill, Billy Geddes, Audrey Geddes. It is thought that the photo was taken in 1948. Great pics Billy, do you know what became of Munro Hill? He was in my class for a while. 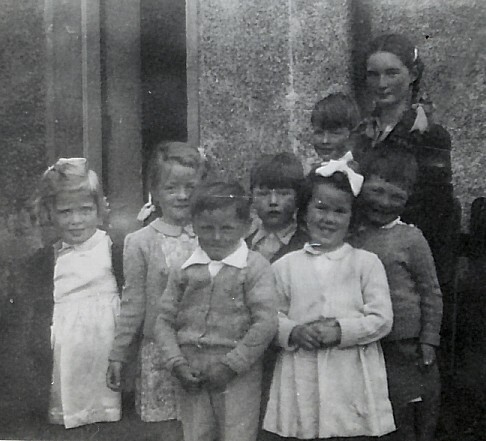 Boy in front looks like David Calder ....as for Munro Hill, Harry, haven't seen him for years but have heard he stays in Inverness and am sure he worked at the HGV testing station in Inverness for a time..may well have retired by now.